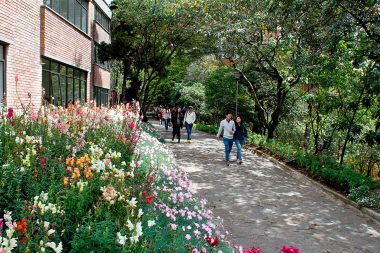 Father Francisco de Roux, President of the Commission for Truth and Jorge Pulecio, Economist from the Universidad Nacional de Colombia, join this celebration to share reflections on the challenges of rural education for the construction of peace. 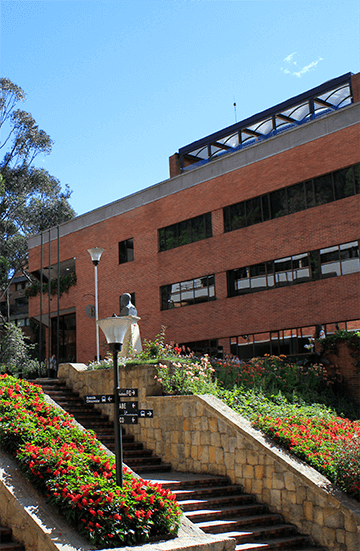 In the first semester of 2019, the School of Education Sciences will offer three graduate programs directed to professionals in all areas currently working or wishing to work in education-related fields. 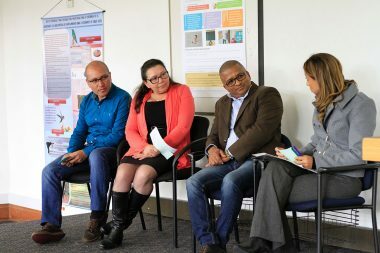 Our House of Studies was the venue of the event bringing together the scholarship recipients of the International Course on Children’s Rights Management in School and the Classroom, from the University of Lund, Sweden. 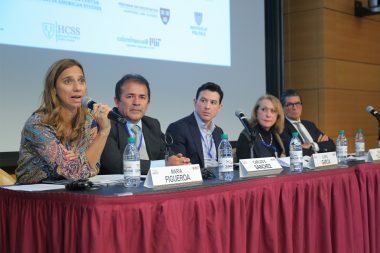 During her speech, María José Figueroa mentioned the importance of having well-trained educators, the dignity of the profession, and the need to recognize different forms of learning, among other topics. 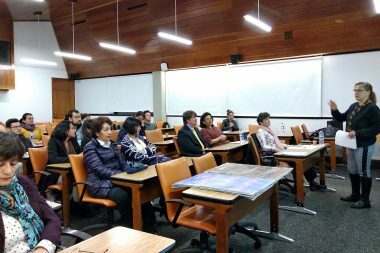 To learn about the challenges surrounding this problematic, the Externado Education Sciences Faculty held the chat “The origin of standardized tests,” offered by Sebastián Moncaleano, a mathematician from the Universidad de los Andes. 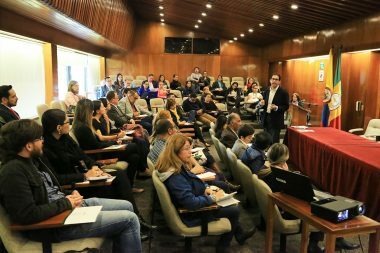 On January 11, 2018, the Education Sciences Faculty will offer the talk “The origin of standardized tests,” a theme gaining importance today. 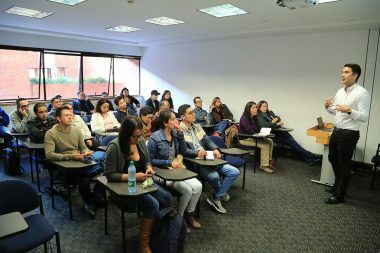 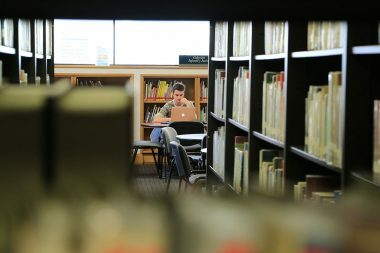 Los interesados en inscribirse en el programa, podrán hacerlo hasta el 19 de enero del 2018; luego se llevarán a cabo los exámenes y entrevistas de admisión y, finalmente, se dará a conocer la lista de admitidos. Over 60 educators completed the “Formative Diagnostic Character Evaluation (ECDF) Course, offered by the Education Sciences Faculty. 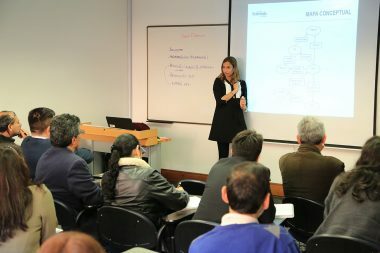 Several teachers presented advances of their educational projects. 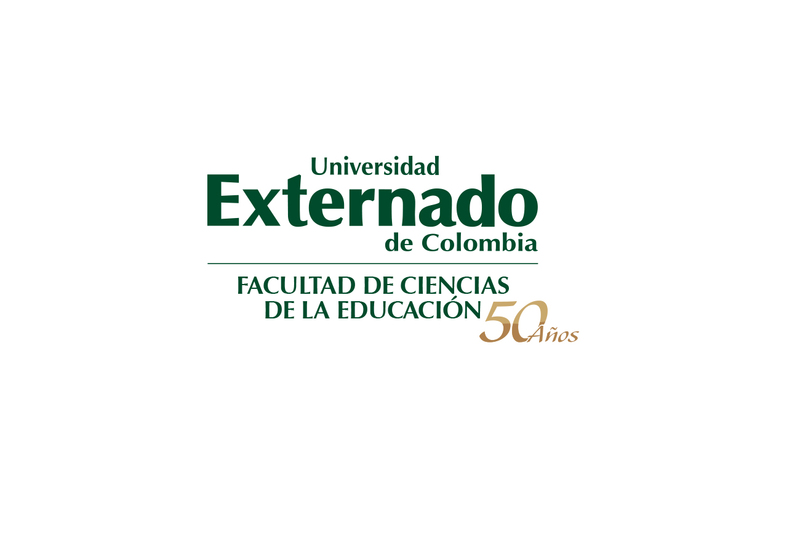 Professor José Angulo Linero, of the Externado Education Sciences Faculty, revealed indicators determining that Colombia has the most unequal education system in the world.